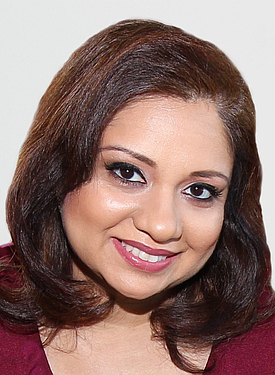 Uzma N. Sarwar received her bachelor’s and medical degrees from the State University of New York at Stony Brook. She completed her internal medicine residency at New York University and a fellowship in infectious diseases at New York-Presbyterian/Columbia University Medical Center and the National Institute of Allergy and Infectious Diseases. Dr. Sarwar was a research fellow at the Vaccine Research Center, National Institutes of Health (NIH) where she worked as an investigator for early phase clinical trials of candidate vaccines for HIV, malaria, influenza, Ebola, Chikungunya, and other emerging infectious diseases. Dr, Sarwar—who joined Montefiore in 2013— received the National Institutes of Health Director’s Award in 2013 as a member of the malaria vaccine study team.